Cost effective, high availability email hosting with expert support for your business or group. We are email hosting experts. Our business is knowing how to set up, transition and manage mailboxes, and we want to help you every step of the way. Our support doesn't stop after you sign up for service. From creating your mailboxes to editing your DNS MX, Autodiscover, and SPF records, our support team is there to get you set up and keep your email working. The importance of superior collaborative and communication services for businesses in today's competitive global market is more than obvious. Businesses require technological tools to provide a professional exterior and boost productivity which in turn allows them to focus on their core business so they can keep good relationships with business partners and customers. 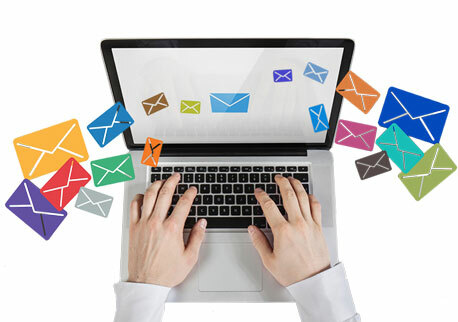 Based on Microsoft Exchange Server 2007 and Windows SharePoint Services 3.0, Ink Web Solutions Exchange Email hosting service offers a rich and professional access to email, contacts, calendars, tasks from web, desktop computers, or mobile phones. Ink Web Solutions as a genuine web hosting company India owns a state-of-art facility equipped with its own servers and network. Scores of emails are processed each day. So forget the hassles of maintaining your own Exchange Server! Get ready to experience the benefits of business-class email through easy plan options! The Ink Web Solutions team fully manages all aspects you need to share in our robust and scalable network architecture, which includes intrusion detection, routers, switches, redundant power systems, and redundant bandwidth providers. A team of our administrators will order the necessary hardware components and build your server(s) to your specifications. The team will then deploy your server into the Data Center network. We guarantee your server so we keep spare parts and extra servers on site in the event we need repair or replace your server. A team of our administrators will manage the installation and configuration of your operating system. We use Industry's finest tools from Companies like Cisco, Juniper for Web-based monitoring tool known as Web Sense. All monitoring is 24 / 7/365 by our Network Operations Center staff. Ink Web Solutions provides 24/7/365 full hardware maintenance, onsite and technical support. Chandigarh's Leading Email Hosting Company ! Ink Web Solution provides Email Hosting services in Chandigarh, Mohali, Himachal Pradesh and India.